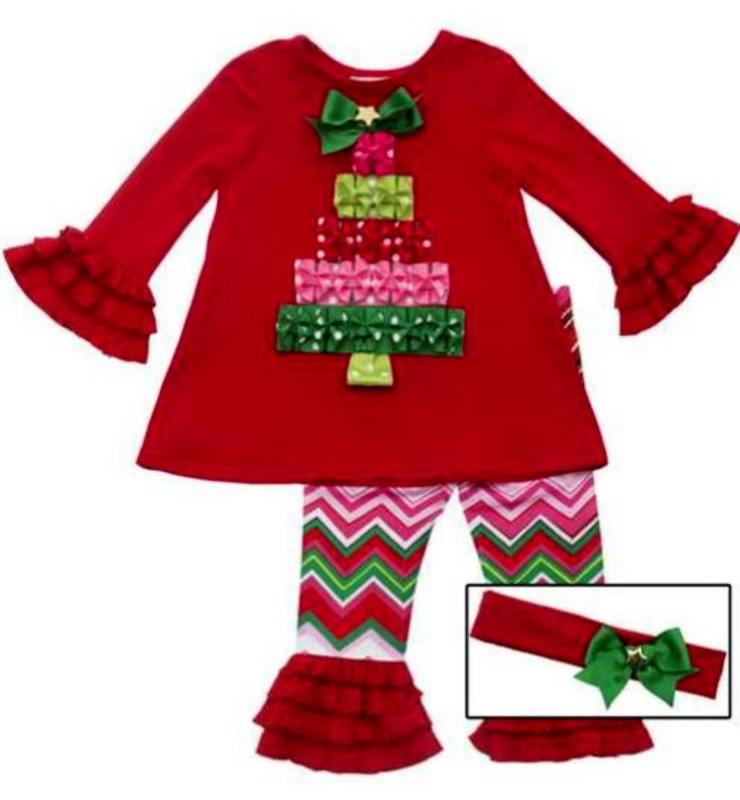 Adorable red Christmas tunic and chevron pant set features long sleeve red knit tunic with ruffled colorful present appliques in the shape of a christmas tree. Grosgrain bow at top of tree and ruffled layers sleeves. Chevron knit pull on pants feature red ruffled and tiered hems. Adorable! Machine wash. Imported. Cotton knit.